G. Lamprinakos, E. Kosmatos, D. Kaklamani, I.S. Venieris, National Technical University of Athens, School of Electrical and Computer Engineering. This paper presents the INCASA architecture that provides advances towards mainly two directions. To start with, by using the appropriate middleware, it manages to transform the network of devices to a network of services following a Service Oriented Architecture. In this way, it turns the implementation of applications (e.g. clinical applications) on top of the middleware to be easy and efficient. 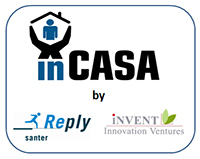 Furthermore, INCASA architecture provides an integrated solution for profiling user habits. This is particularly important in case of elderly people who tend to follow daily activities in a repeating manner. In the proposed architecture, the procedure of modeling user habits is the necessary step in order to generate alert actions in case of divergence. The paper was presented at the 14th Panhellenic Conference on Informatics, 10-12 September 2010, Tripoli, Greece.